Srinagar: Doctors Association Kashmir (DAK) today held a meeting at Government Medical College Anantnag and discussed various issues confronting medical fraternity. The meeting was chaired by president DAK, Dr Suhail Naik and attended by all executive members of DAK south Kashmir including Dr Owais H Dar, General Secretary, Dr Fayaz Ah Bhat, Spokesperson, Dr Arshed H Trag, Dr Zakir H Shah and Dr Naseer Tak, Joint secretaries, Dr Adil Wani, District President DAK for Anantnag and Dr Mohd Yusuf Tak. 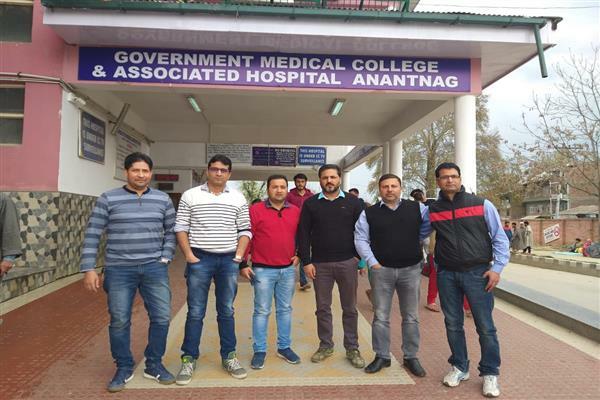 DAK showed satisfaction over the infrastructure and human resource development at GMC Anantnag and asked for admission for MBBS Course from the upcoming academic session.